Green Star is Australia's trusted mark of quality for the design, construction and operation of sustainable buildings, fitouts and communities. Choosing Green Star can help you save money, create a healthy place for people, minimise your environmental footprint and build a better future for us all. In today’s office environments, systems need to be flexible to minimise churn costs over the life of the product and respond rapidly to changing business needs. Zurich 5 caters for all configurations with common components shared between back-to-back and stand-alone formats to create a flexible solution that can adapt with maximum ease. Additionally, installed systems can be upgraded on site to provide improved ergonomics. For example, infrequent user adjust desks can be site upgraded to frequent user adjust at any time. Parramatta City Council recently chose to use GECA certified furniture from Aspect Furniture Systems for its new Rydalmere Operations Centre. 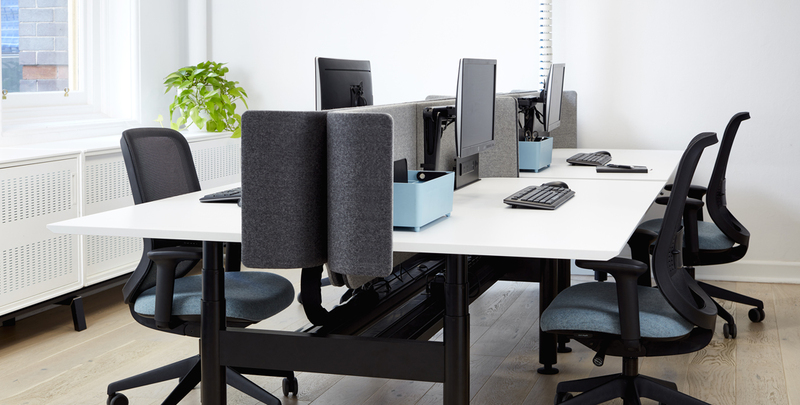 The council chose the ‘Zurich 4‘ workstation, which is certified under GECA’s Furniture, Fittings and Foam standard, demonstrating a lower environmental, health and social impact.